← Battle of the Smartphones: iPhone 5, Samsung Galaxy S III or Nokia Lumia 900? This morning I made pancakes for breakfast and it was one of the most challenging, frustrating situations. And I even had the pre-packaged box mix. I know that sounds pathetic and shouldn’t be too difficult, especially considering that I’m a pretty good chef, but it took me three attempts to finally get something decent on the plate. The frustration reminded me of what people say about learning how to use Social Media Marketing the right way. Epic Fail #1: Use The Wrong Tools. I was in a hurry, so I pulled out a bigger pan than I normally use for pancakes so I could make two at once. 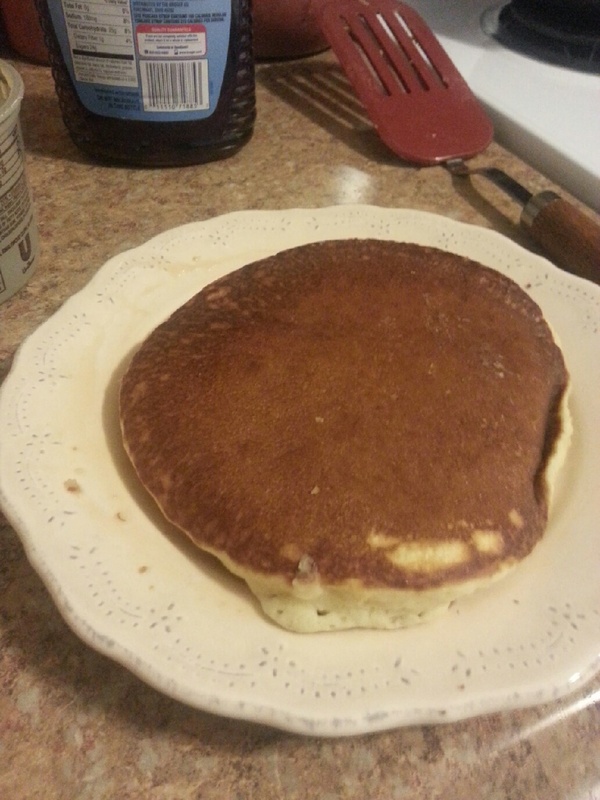 I stirred the mix together in a bowl and poured batter for two pancakes into the silver pan. Just like in Social Media, you have to use the right tools. You can’t expect great results if you pull out the wrong pan and jump head first into unknown territory. It just won’t work and you’ll end up spending more time scraping off your first attempt and cleaning two dishes later instead of just one easy, non-stick pan. Have a plan and a rockin’ strategy. Know which websites and apps will help you do your job better and more effectively reach your specific target market. There are tons of great time-saving tools like HootSuite and Buffer to help you maximize your efforts. Epic Fail #2: Don’t Pay Attention. 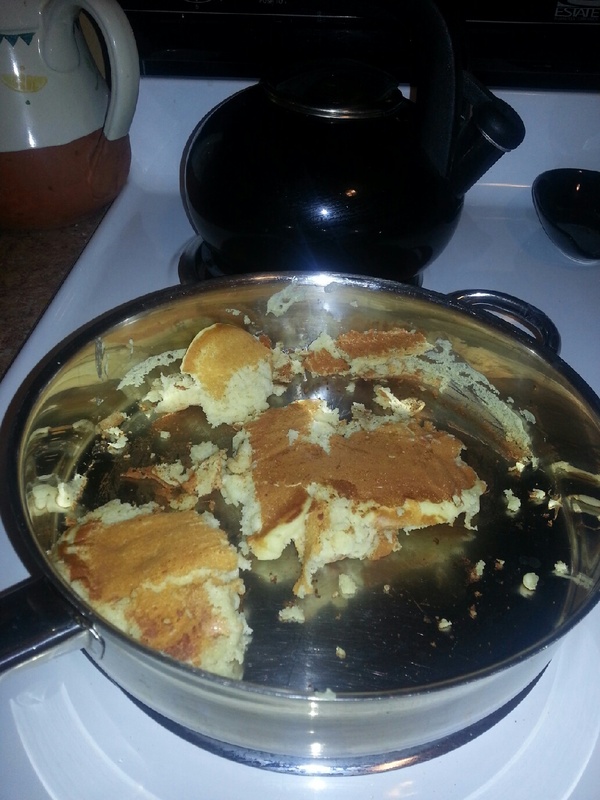 So I grab the smaller, yet oh-so-pankcake-flipping-friendly non-stick skillet, and went at it again. This time with batter just enough for one pancake. I was on track. The right tool. As I waited for the bubbles to appear on the top of the pancake letting me know to flip it over, I grabbed my new phone that was sitting right there on the counter. I only had my new wonderful smartphone (blog coming soon) for 24 hours, so naturally I can hardly put it down. I’m loving it and so I start downloading new apps, checking my emails, replying to some text messages…you know, the usual morning routine. Several minutes passed and before I knew it, my nose smelled something funny. I turn my attention to the stove. SERIOUSLY?! I burnt the pancake. Not like a little brown, but extra dark and crispy. Gross! Black is the new brown. In Social Media, if you don’t pay close attention to your activities and efforts online you’ll burn your stuff. You’ll waste time and have to re-do it. You have to throw it away and try again. Luckily, things like Facebook Analytics can give you real-time updates on what’s happening with your Facebook Page. It blows my mind how much information marketers are given about who is on Facebook. All you have to do is pay attention. For instance, look at that last group of new “Likes” that just came into your Page. Go to their individual profiles. Research who they are and analyze the content on their Timeline to get to know your customer base better. What do they “like?” What do they share? Are they a brand evangelist for other companies like yours? Also, download the Page manager app and keep in close contact with people engaging with you and/or your brand online. Respond. Don’t let the pancake sit there unattended. After all, you were the one who put it in the pan to get it ready to eat, right? Epic Fail #3: Give Up Too Soon. So now I’m down to my third attempt and for half a second I thought about giving up and just grabbing a yogurt from the fridge. 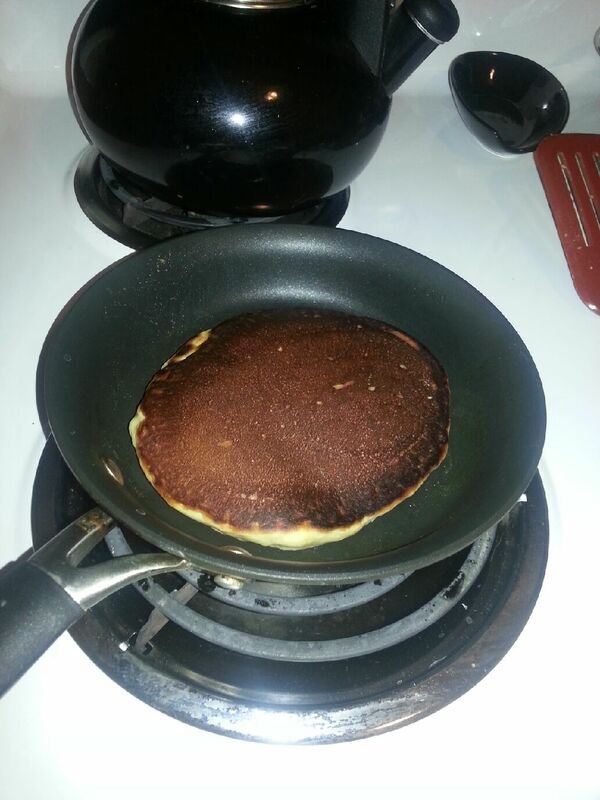 But no, I was determined to make a flippin’ pancake (no pun intended, kinda). Plus, my ego was in check here. Who can’t make pancakes from a box mix?! Seriously. Ok, I have the right tools. I’m going to pay attention. I’m not giving up. Educate yourself on what’s working and what’s not. Find the most popular and more effective tools to get the job done. This will make your life much easier. I’m a big believer in research. Watch what’s happening. Do your homework and then tweak your strategy according to what you see. Rome wasn’t built in a day and your social media marketing empires certainly won’t be, either. The ones who are successful are willing to invest the time and energy into doing it in a way that yields results. Stay in the game and you’ll be eating for a long time. Posted on November 19, 2012, in Social Media Marketing Tips and tagged breakfast, Buffer, cooking, facebook, facebook marketing, formula, HootSuite, instagram, pancakes, social media, social media apps, social media marketing, success, twitter, twitter marketing. Bookmark the permalink. Leave a comment.